Note: This poll ended on 22nd January 2019. 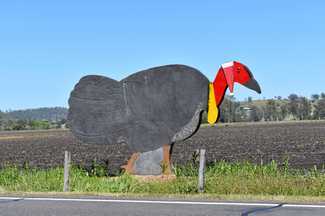 SILLY SEASON: Kyogle's big turkey is ready for Christmas. 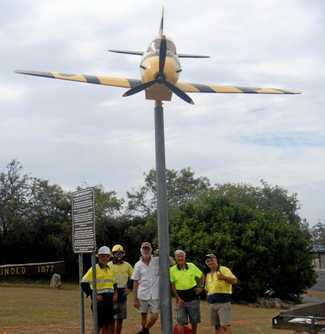 Fairey Battle replica on display at the roundabout coming into Evans Head has been restored. 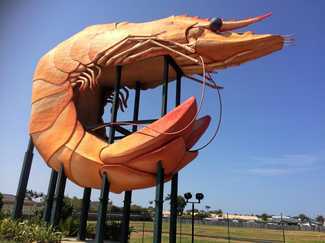 BIG PRAWN: Originally opened in 1989, the big Prawn was moved to its current location at Bunnings Warehouse in 2013, who refurbished the crustacean to its 35 tonne, steel and concrete state, at a cost of over $400,000. 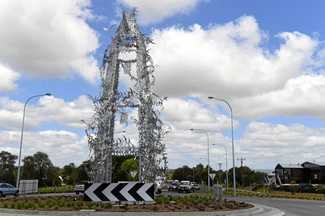 The final stage of the installation of Corey Thomas' 12 metre tall lighthouse sculpture on the new Bayshore Drive Roundabout at Byron Bay. 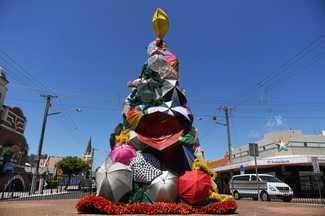 The annual christmas tree in Lismore. POLL: What public art do you love the most? 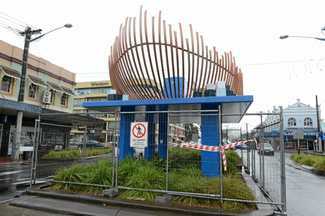 Offbeat WHENEVER an artwork appears anywhere on the Northern Rivers, it seems to generate a lot of discussion ... and I mean A LOT.